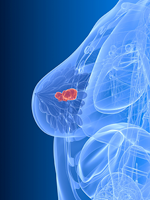 Orlando, FL—A survivorship visit and care plan are mandated for breast cancer survivors by the National Accreditation Program for Breast Centers. These initiatives have improved the quality of follow-up care for cancer survivors and patient satisfaction, but according to a poster presentation at the National Comprehensive Cancer Network 22nd annual conference, survivorship programs are a work in progress, and some challenges remain as they evolve. The poster focused on experience with 200 patients with breast cancer who were treated at the James Comprehensive Cancer Center, The Ohio State University, Columbus, in 2016, and who elected to have a survivorship visit and care plan. “Patients had high satisfaction with the holistic care provided, and would recommend the survivorship visit to others,” said lead investigator Kathleen Rogers, MS, RN, CNP, Nurse Practitioner, Medical Oncology, Stefanie Spielman Comprehensive Breast Center, which is part of the James Comprehensive Cancer Center. Survivors said that they would recommend the service to others, and rated their satisfaction at a median of 4.8 on a Likert scale (0-5, with 5 being the most positive response). Ms Rogers noted that there are still some barriers to implementing survivorship services and getting every patient with breast cancer to buy into the services. “This is a work in progress and we continue to evolve. One of the challenges is to get 100% of our patients to come for a survivorship visit and a care plan. We are working on this. Some patients don’t see the value,” Ms Rogers explained. The Stefanie Spielman Comprehensive Breast Center provides an extensive menu of programs and services for survivors, caregivers, and family members at no cost. Supportive programs include education; exercise; family, teens, and children; expressive arts (music and art); nutrition; mind, body, and spirit; and support group services. Initially, survivorship care was provided by advanced practitioners from the primary oncology team as part of an integrative model. But an additional 3027 patients with breast cancer were treated at the clinic from 2013 to 2016, and the integrative staff of advanced practitioners was unable to provide visits for all the new patients. Five new advanced practitioners were hired at the James Comprehensive Cancer Center, and 2 were devoted only to patients with breast cancer. The new advanced practitioners provide a separate consultative service. Patients with complex needs stay within the integrative survivorship model that was already in place, whereas patients with less complex needs are seen by the consultative survivorship service. The survivorship visit is time-consuming and can take ≤2 hours, with 30 minutes of preparation that entails a summary of the dates and types of treatments received by the patient, and an individual 2-page distress tool that the patient completes detailing his or her psychosocial, cognitive, physical, financial, and spiritual needs. Then, an hour-long survivorship consultation focuses on the individual patient’s needs, according to the results of the distress tool. The summary of the patient’s treatment and the care plan are sent to the primary care physician via electronic health records, Ms Rogers explained. Barriers to survivorship visits and referrals identified by the Breast Cancer Clinic include the growth in the number of patients seen at the clinic, the time-consuming nature of these visits, and lack of referrals by physicians, advanced practitioners, and registered nurses. Ms Rogers said that there is a need for improved education for healthcare providers at her institution about which patients are eligible for survivorship care and when they should be referred for survivorship services and other supportive programs. “Our goal is to increase referrals for survivorship visits by 15% each quarter. With our center’s substantial volume of new patients, we are moving toward a predominantly consultative model as the most resource-efficient model,” she told The Oncology Nurse-APN/PA.